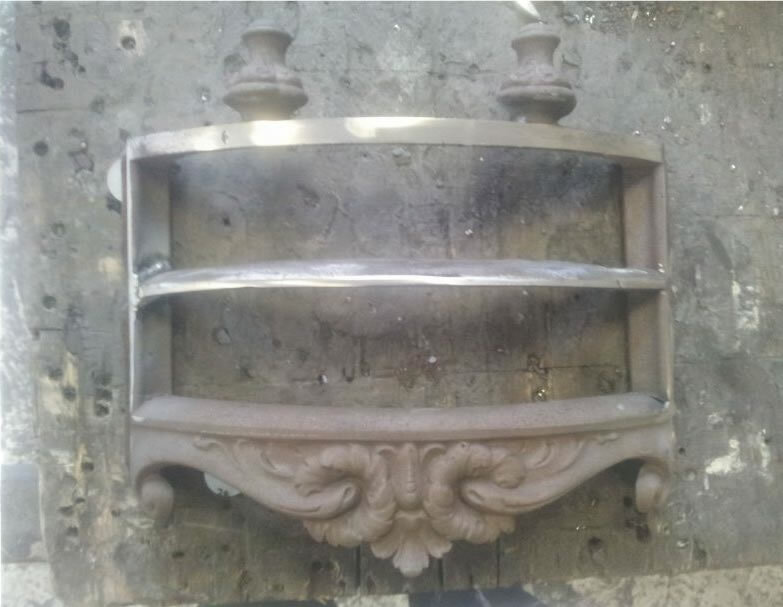 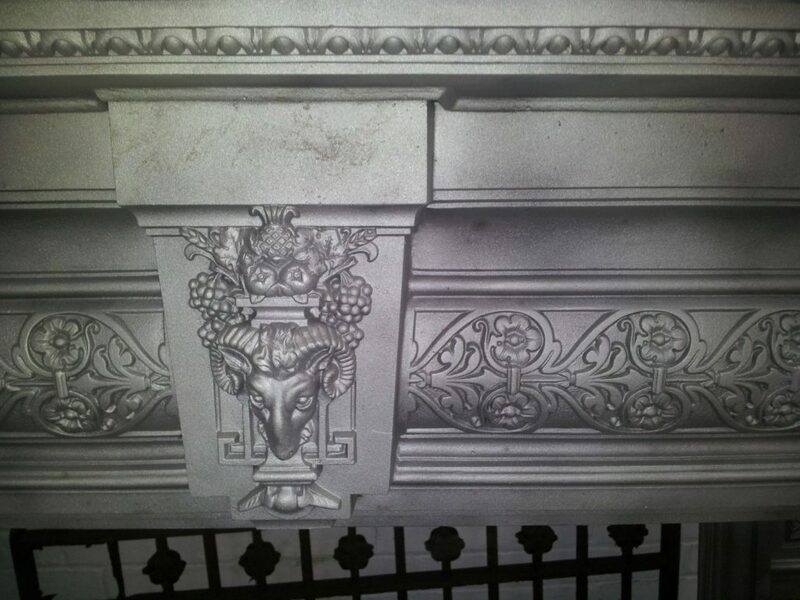 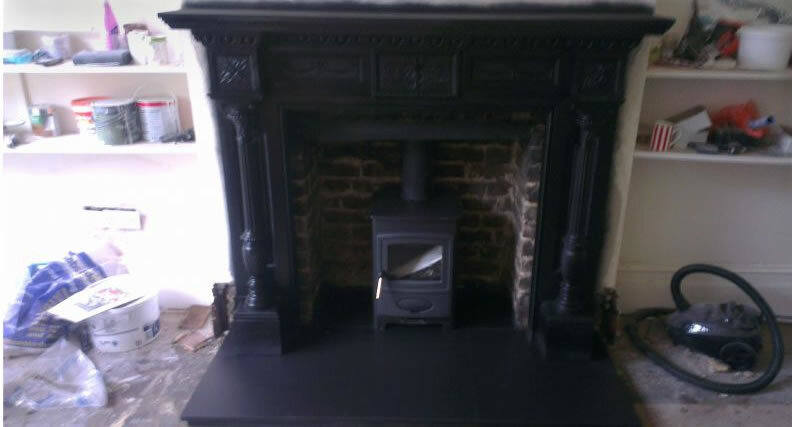 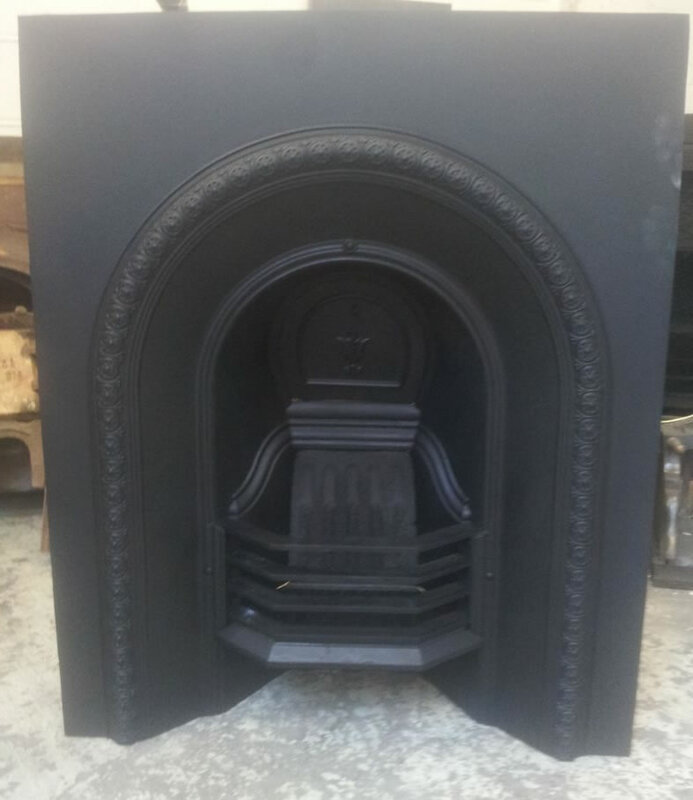 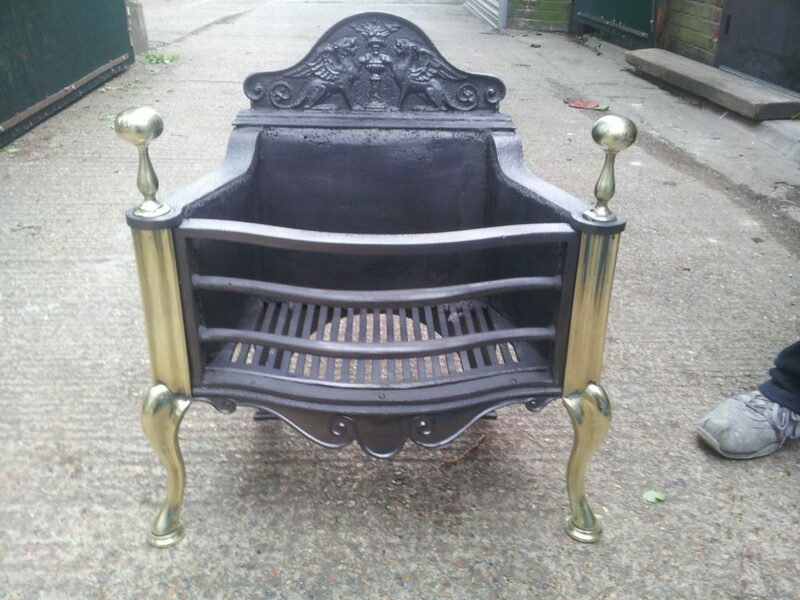 RPS Fireplaces specialises in restoration of antique cast iron fireplaces. 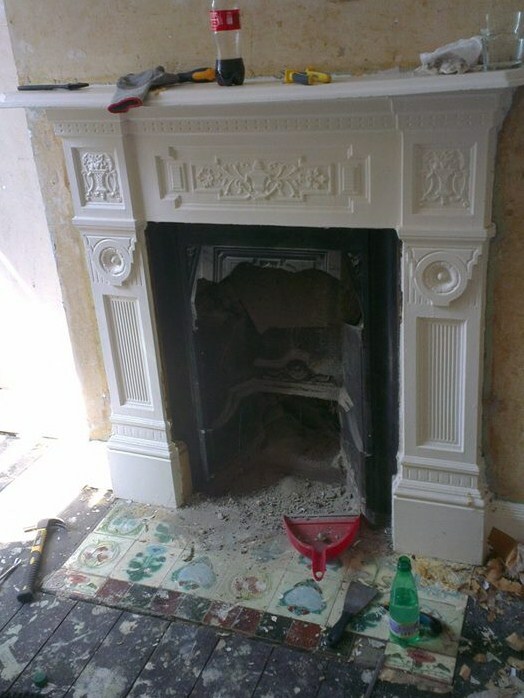 We cover every aspect of the job i.e. 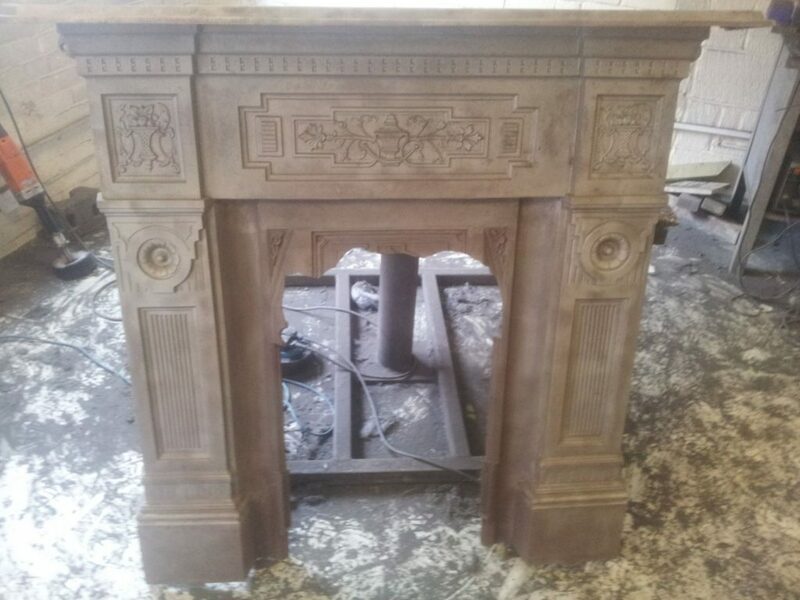 ; Removal of the fireplace from your house, sandblasting fireplace, repair work including welding of your fireplace, spare parts for your fireplace (off the shelf reproduction parts & castings from patterns of original parts) , replacement firebricks and a host of different fireplace finishes to choose from for your fireplaces. 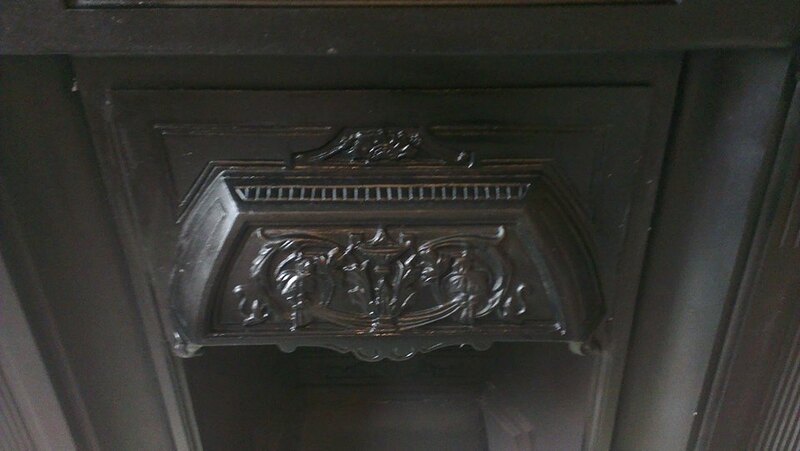 We are happy to quote from emailed pictures and eBay listings. 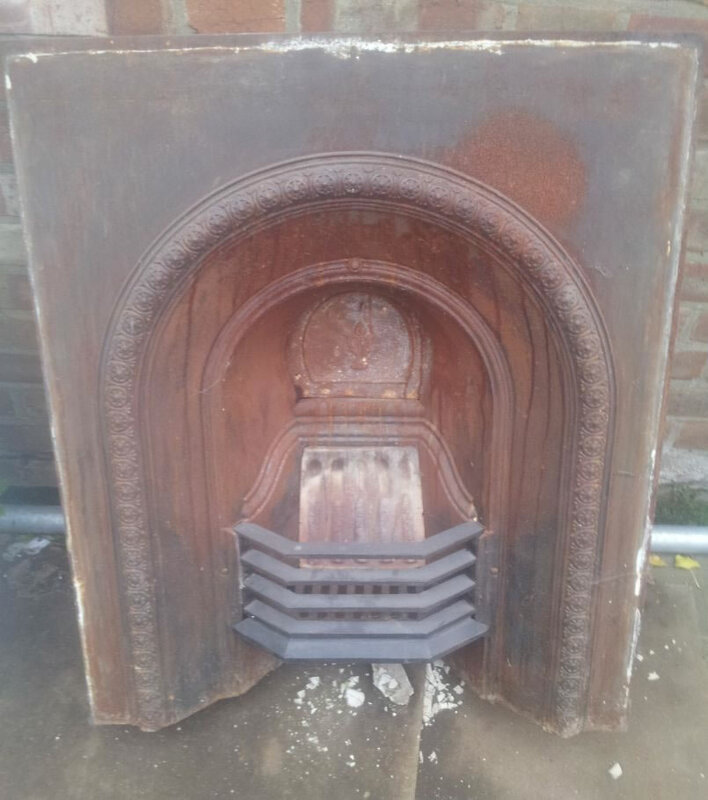 Price will be determined on size and detail. 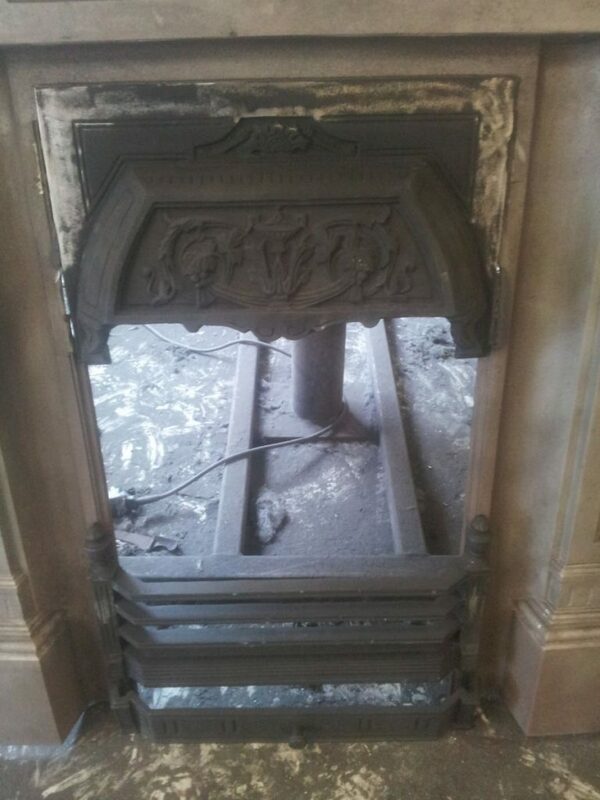 You will be stunned how well your old fireplace or radiators will clean up. 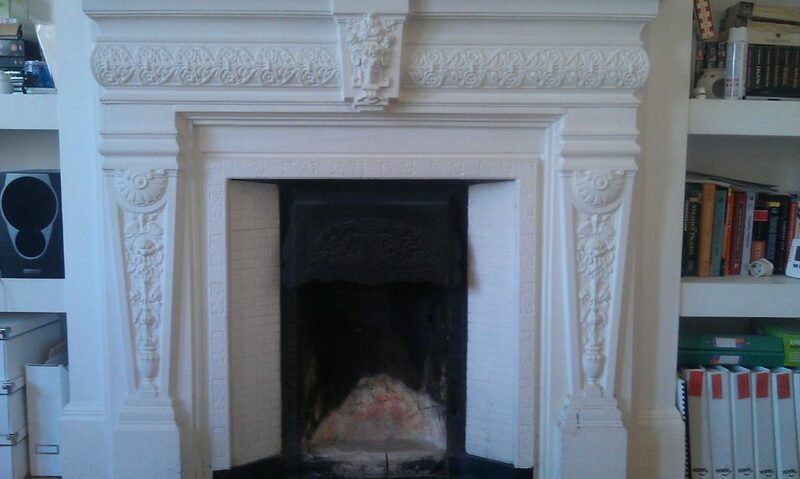 Take a look at pictures of our recent restorations on our Facebook page! 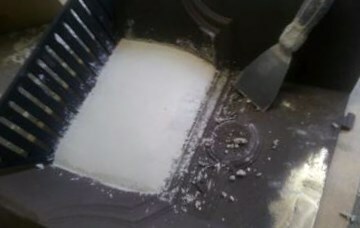 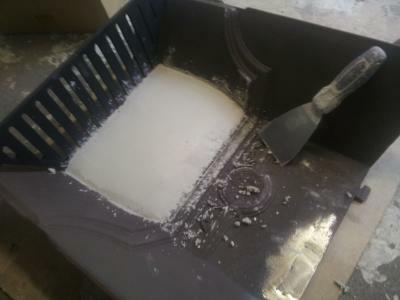 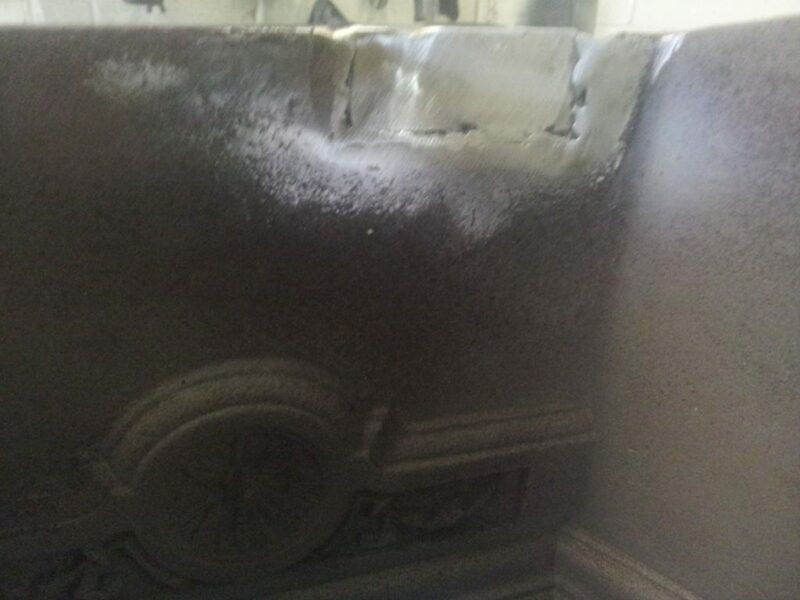 Sandblasting is the best way to fully remove all the layers of existing paint from the fireplace. 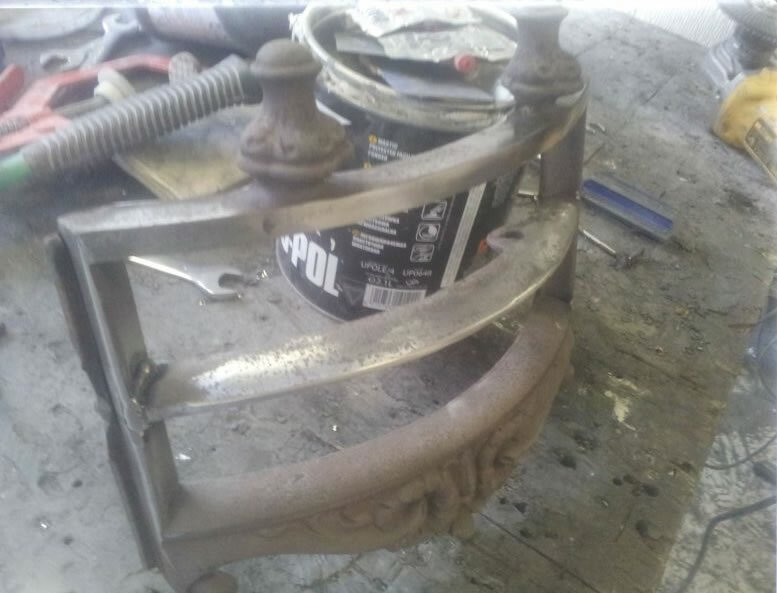 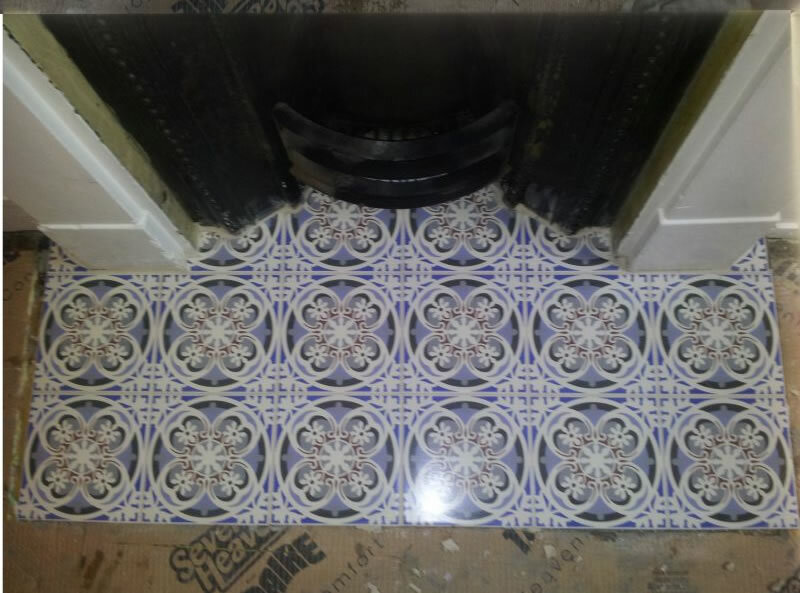 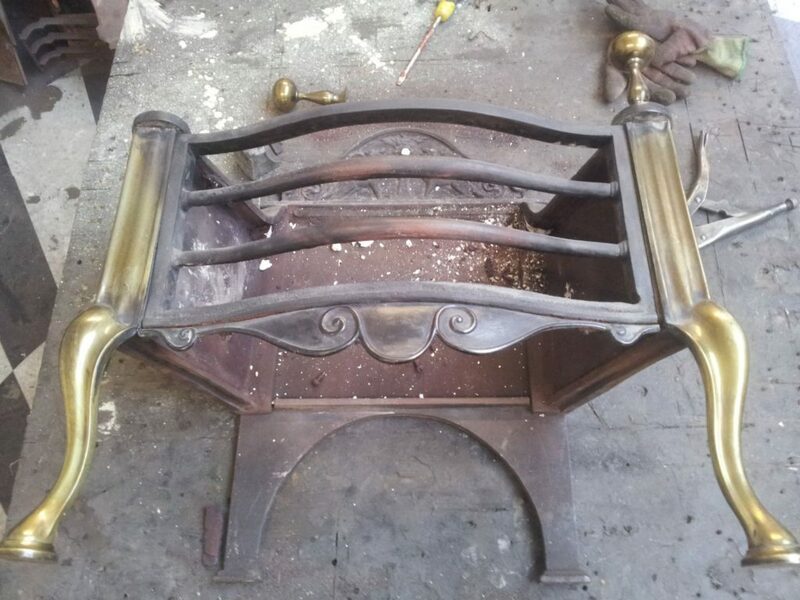 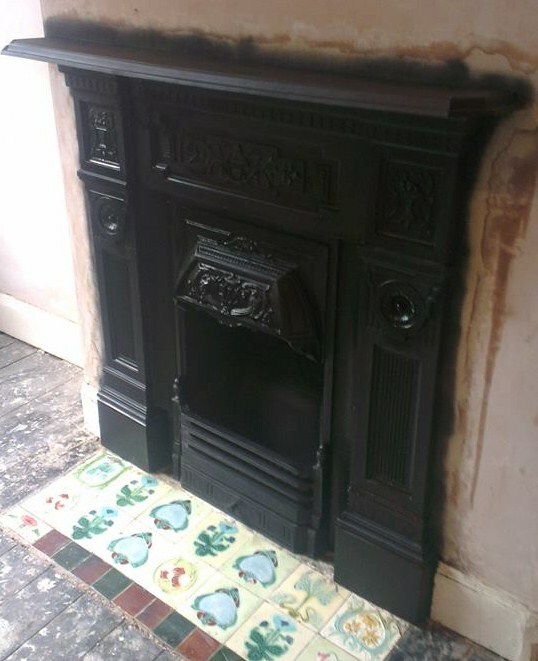 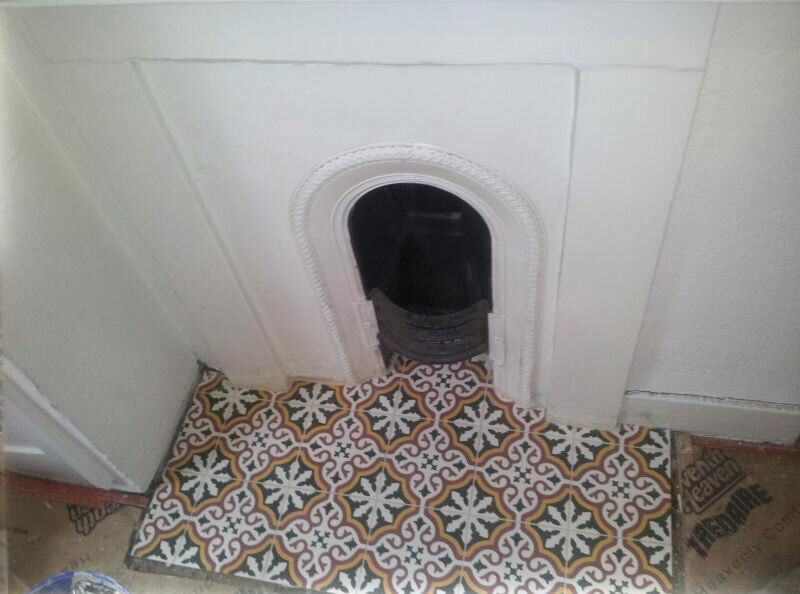 The fireplace or radiator is stripped back to the bare cast iron, which is the first stage of restoration and the starting point for a new finish. 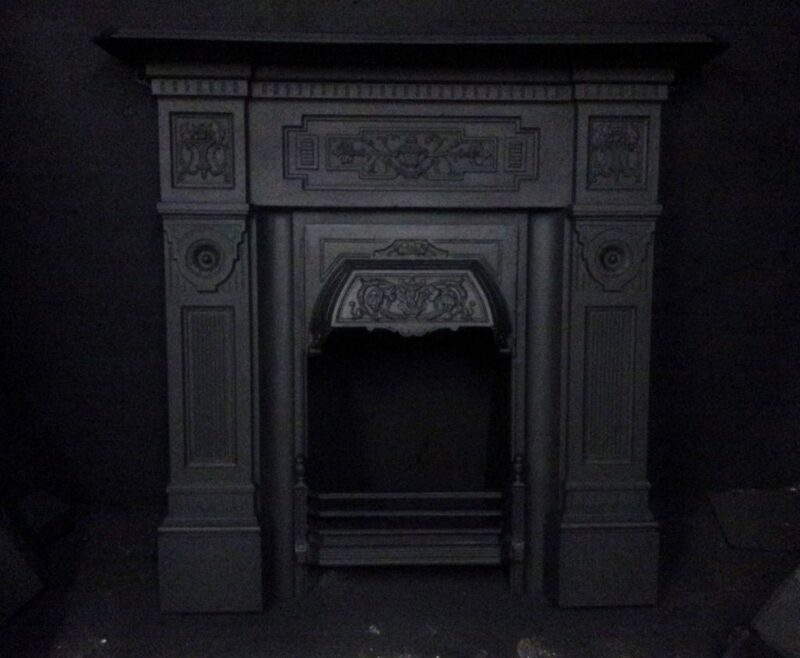 A high temperature matt black paint is applied to the sandblasted fireplace in 6 fine coats, this retains all the definition and detail of the restored fireplace whilst giving a full covering. 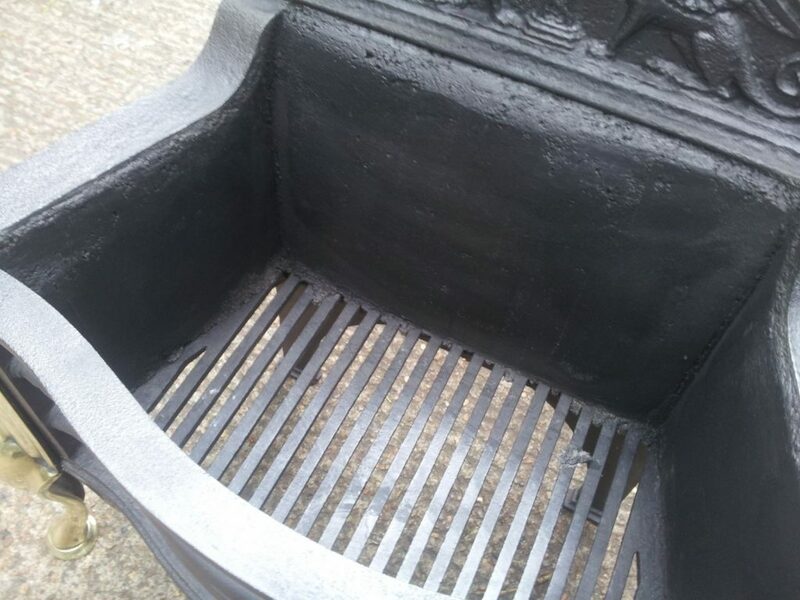 The paint is heat proof to 600 degree Celsius. 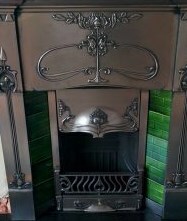 The traditional fireplace finish. 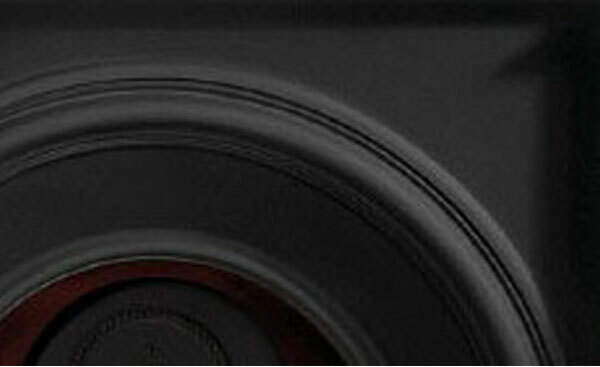 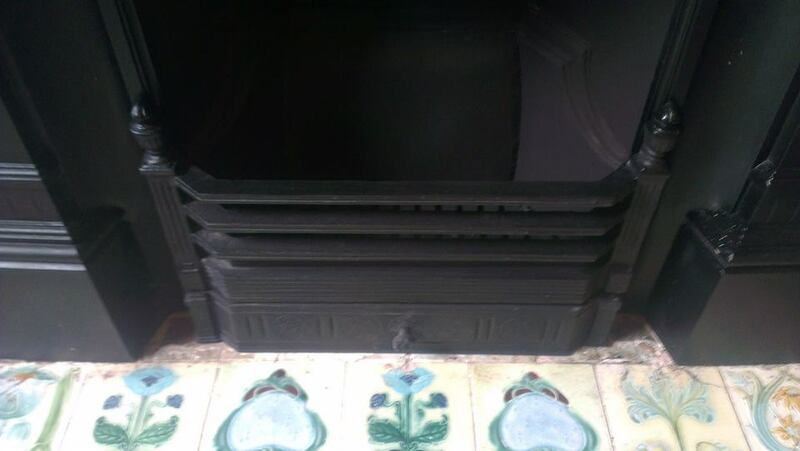 Originally a lead blacking paint was used, nowadays a safe alternative replaces it. 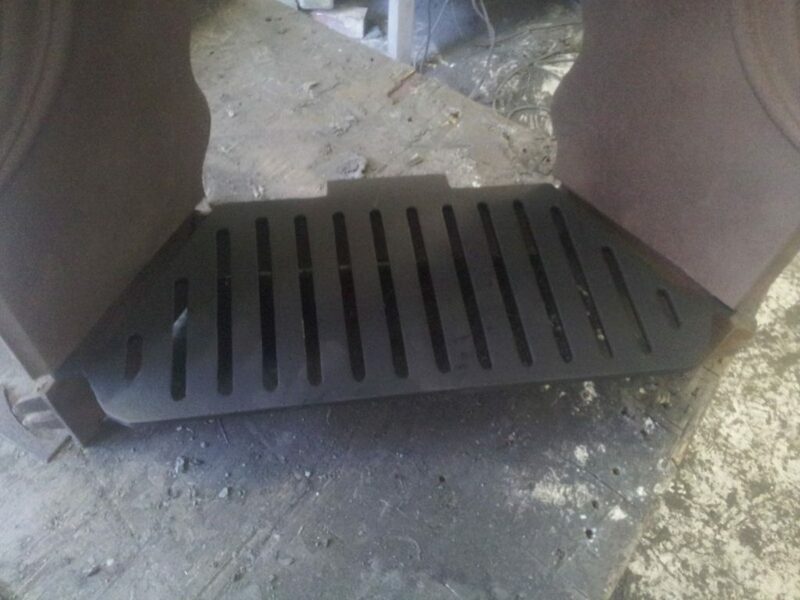 A heat proof black primer is applied before the grate polish. 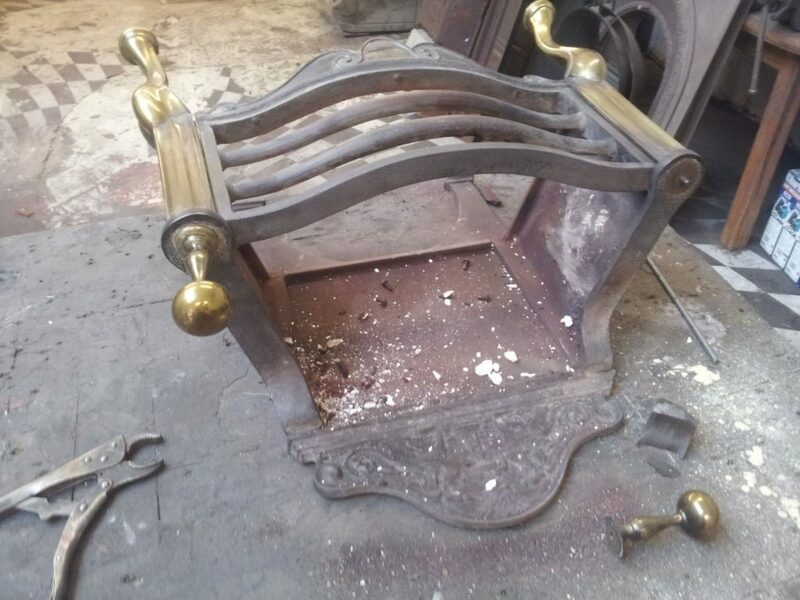 Once applied it is left to dry and machined buffed with a special brushing pad to give it a unique traditional shine to the restored fireplace. 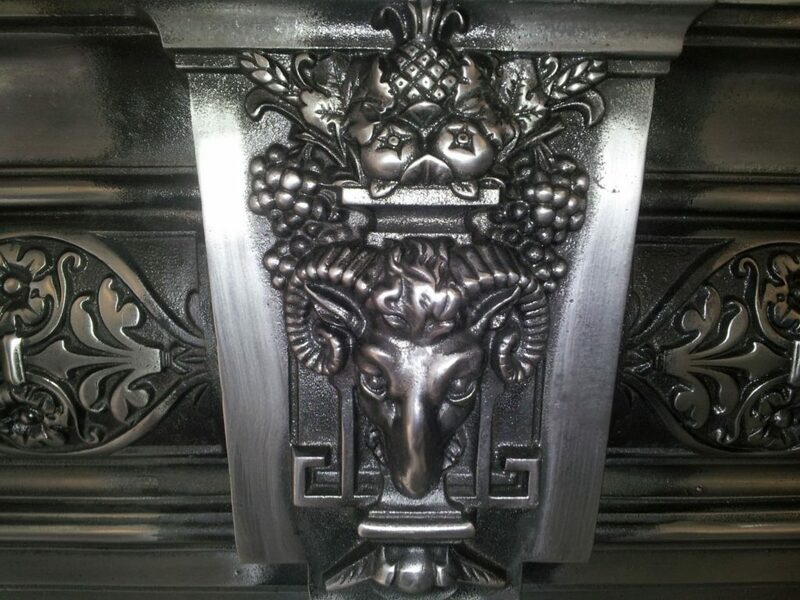 After applying our high temperature black paint, we then polish the details of the reclaimed fireplace to a high shine finish. 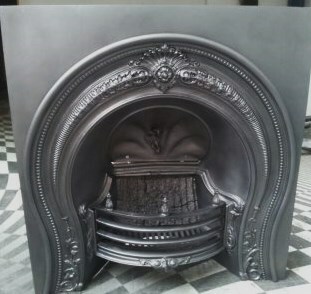 This finish is a mixture of both the back and polish. 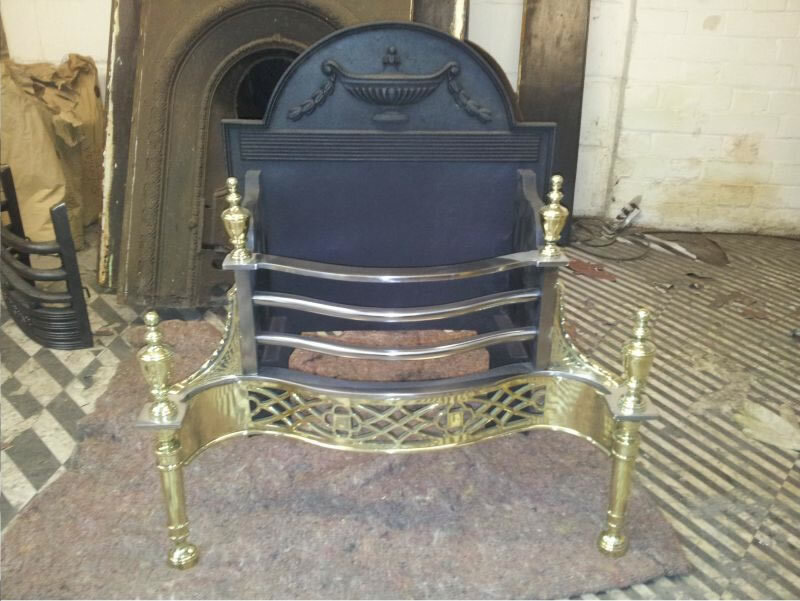 We can recommend which parts will compliment a balance of both finishes but you can specify as much or as little as you like. 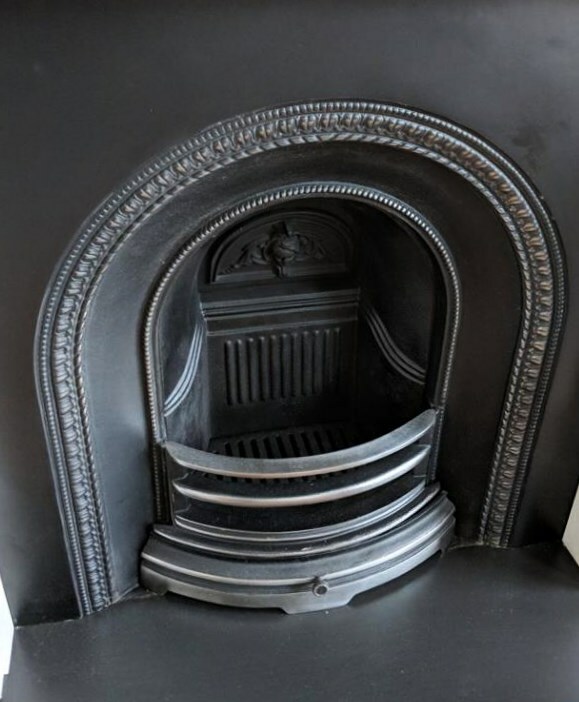 After applying a few fine layers of our high temperature paint, we then polish the reclaimed fireplace to a high polished finish, just leaving the recesses of the detail in black, Maintained with wd40 and fine wire wool. 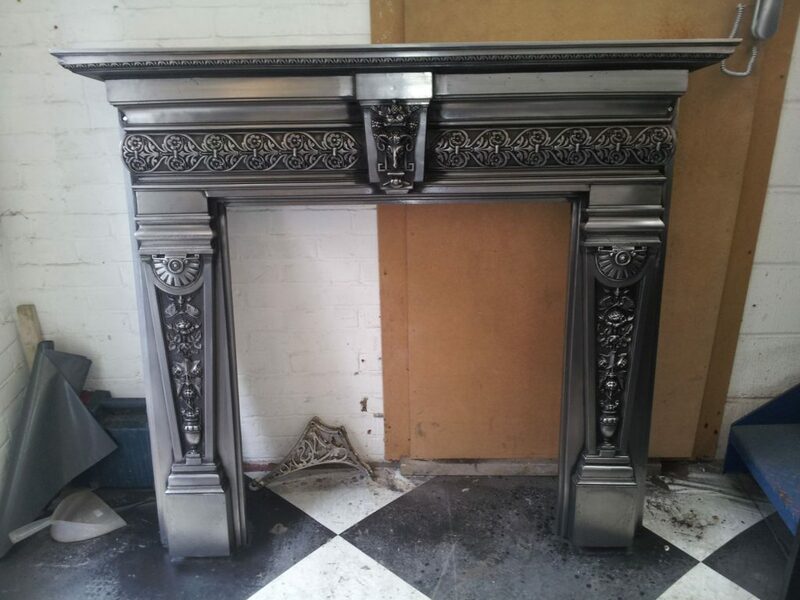 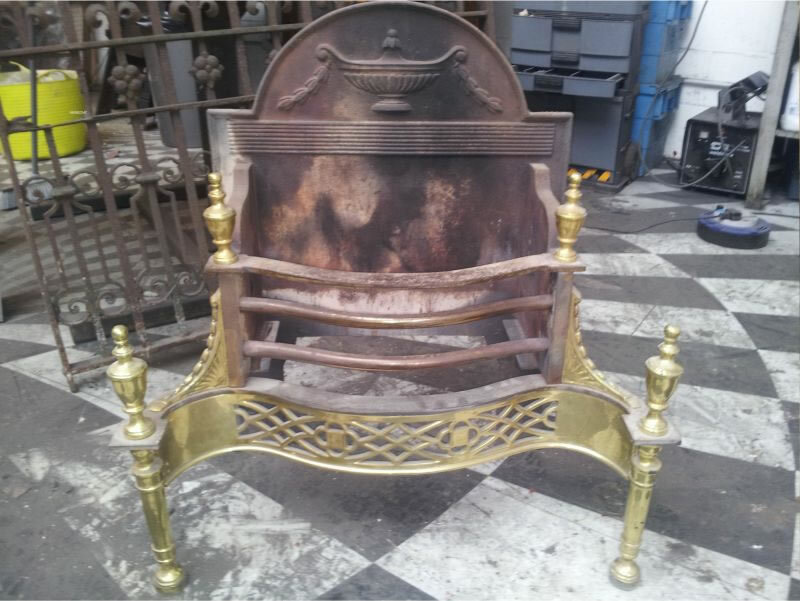 Gives a stunning look to original antique fireplaces. 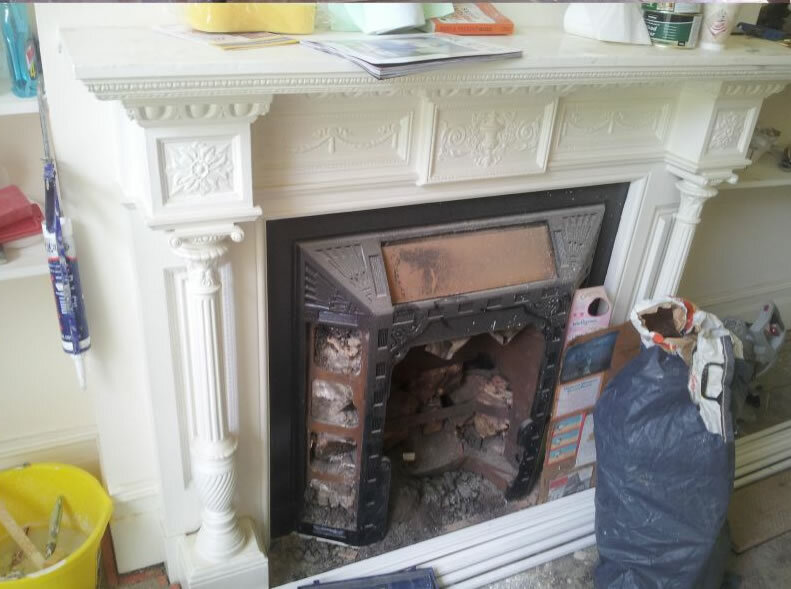 We can replace any corroded fireplace brick. 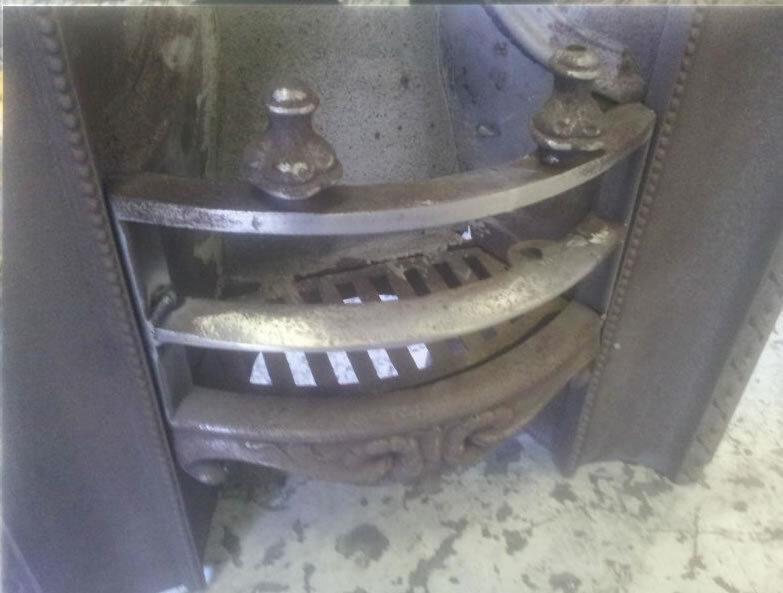 We take out the original broken one and cast a new one. 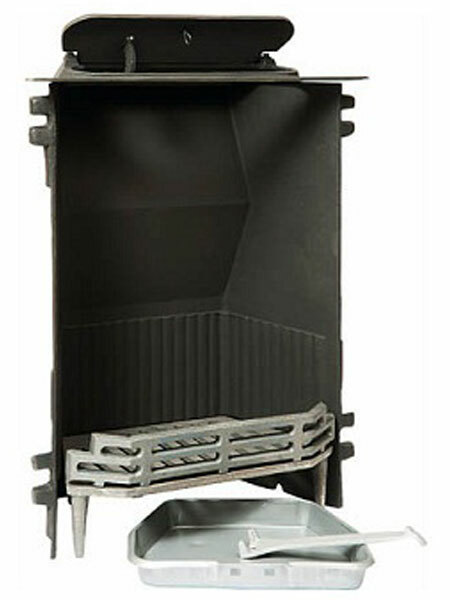 All new bricks are suitable for gas and solid fuel use. 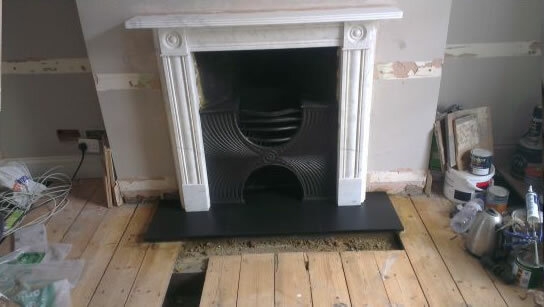 We can also replace a fire bricks in situ. 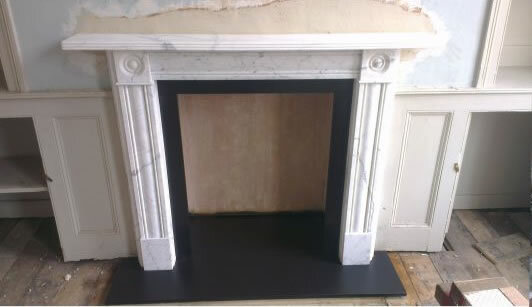 We have a large catalogue of replacement parts and are capable of replacing any part of your fireplace, from shelves to bars and backs. 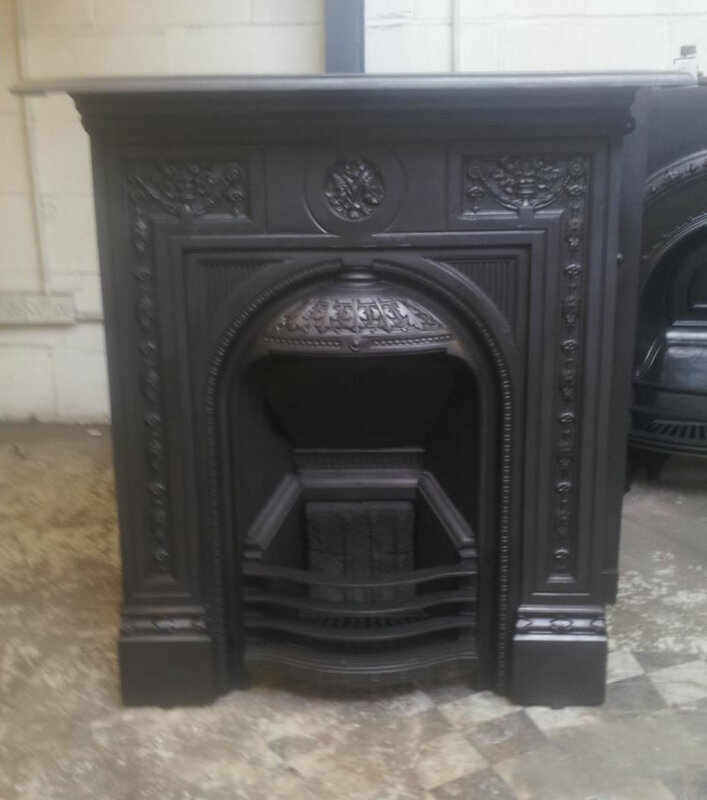 We can also cast new replacement fireplace parts either from other fireplaces in your property or from our cataloge of casting patterns. 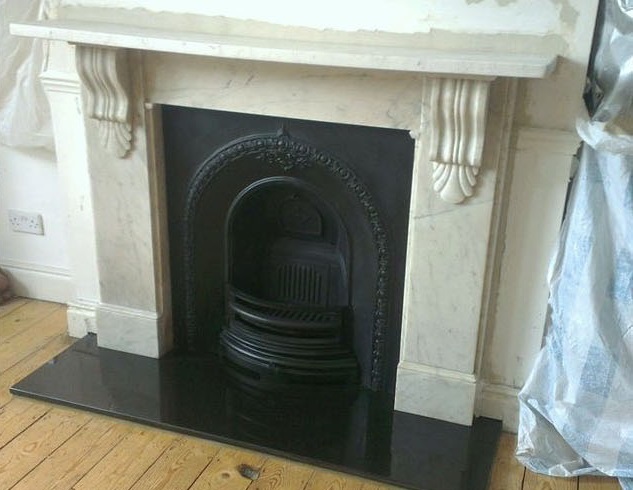 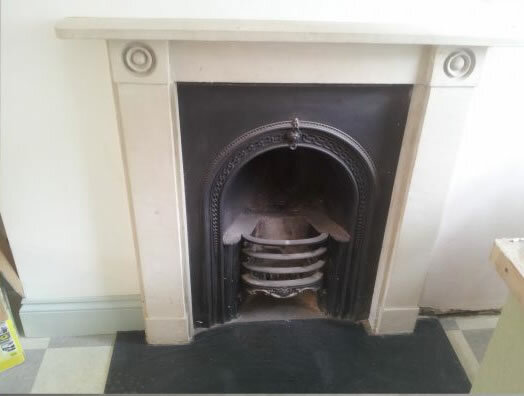 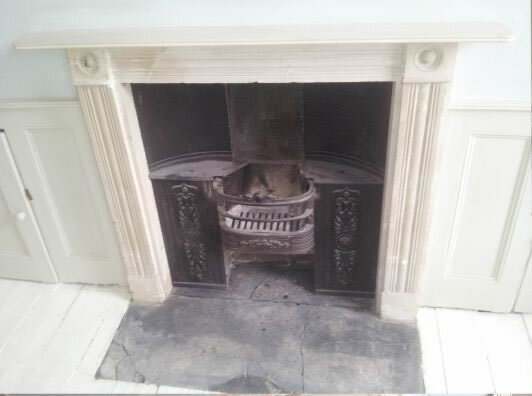 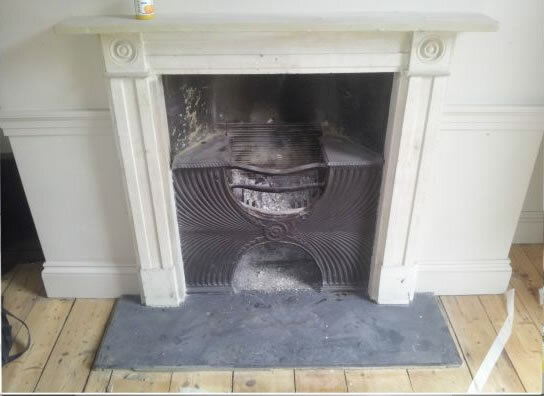 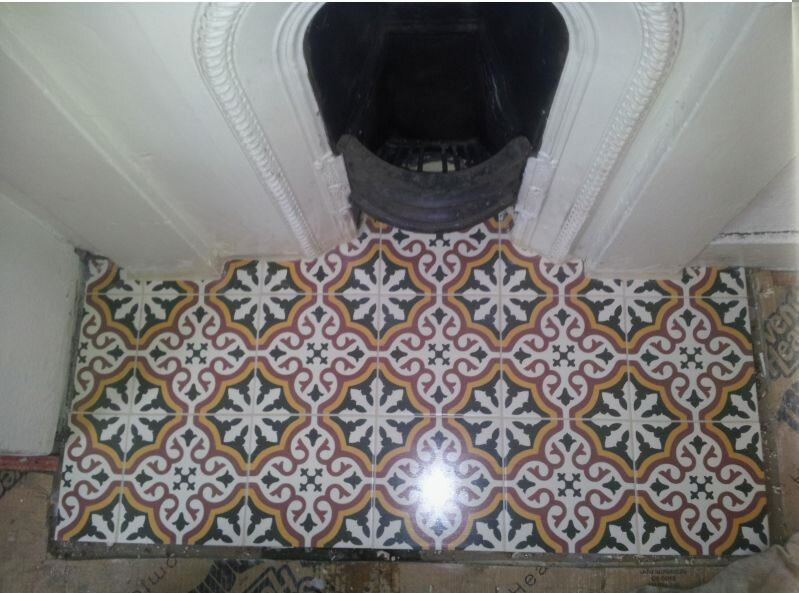 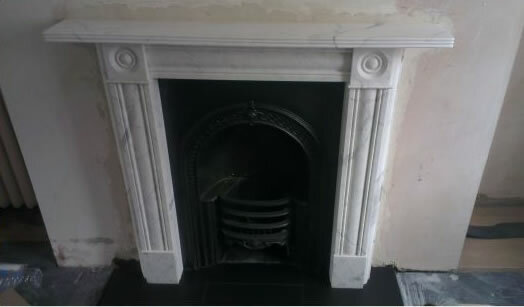 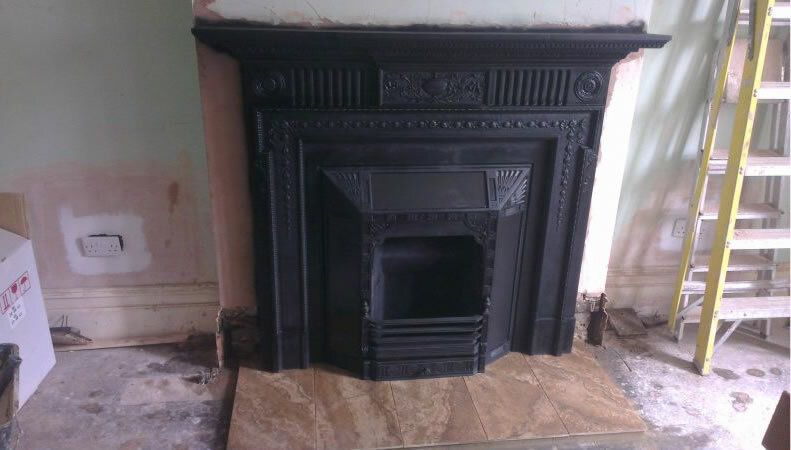 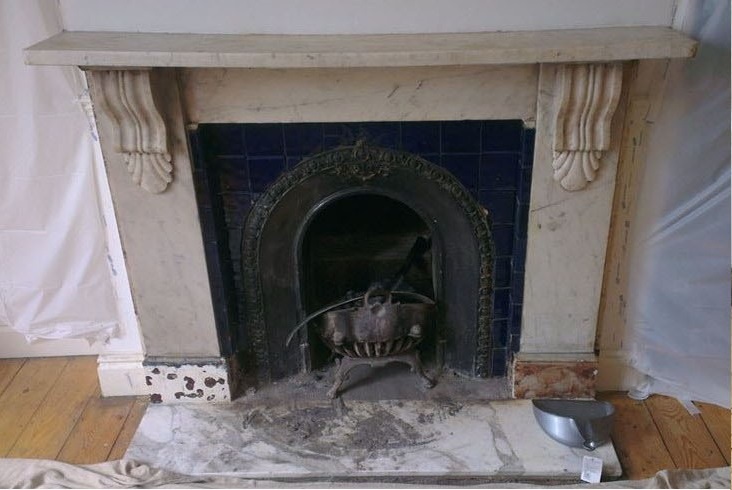 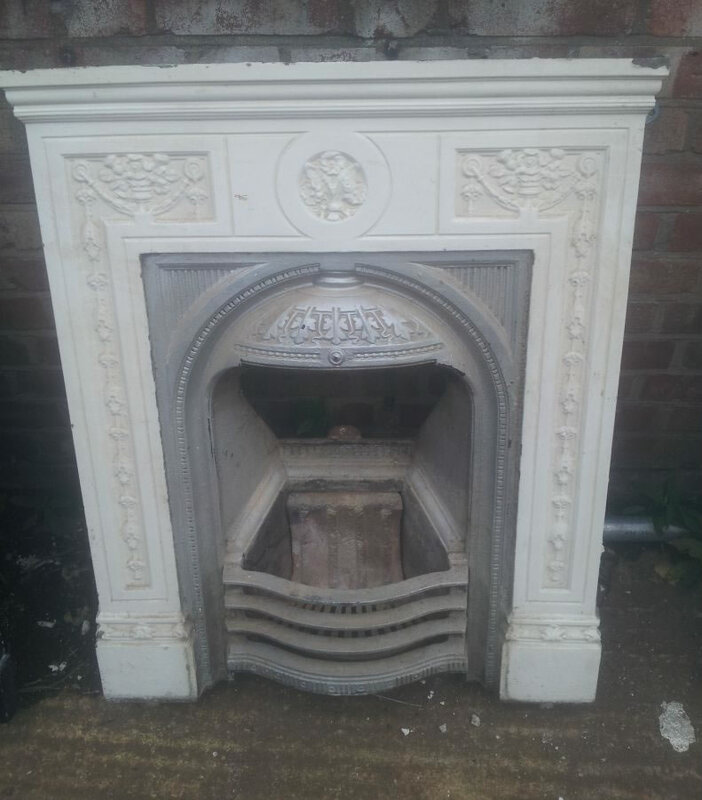 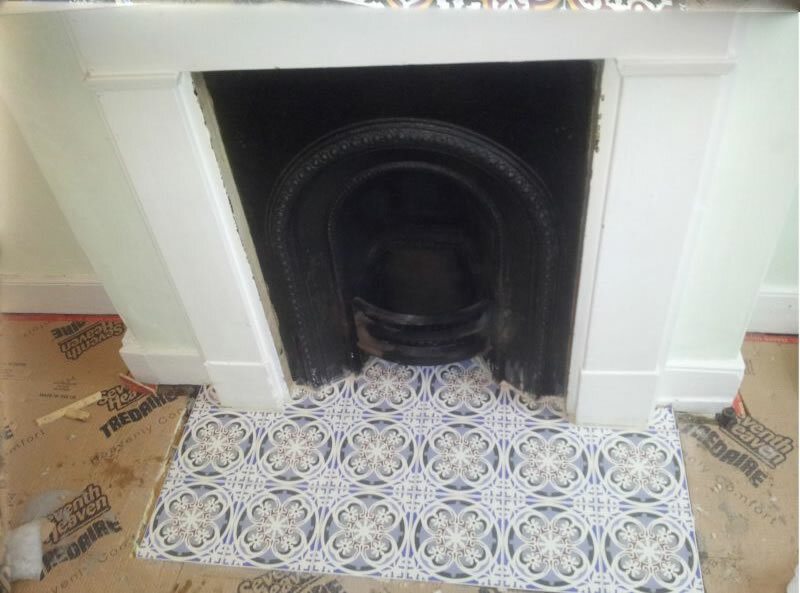 We can tell from a picture which bits are missing and advise you which bits you will need and the options avaliable to you to restore your fireplace to its original state. 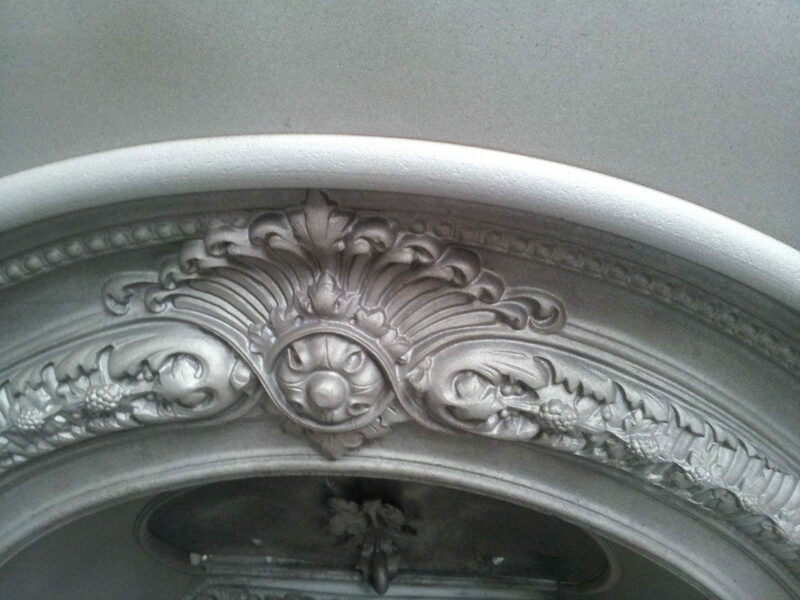 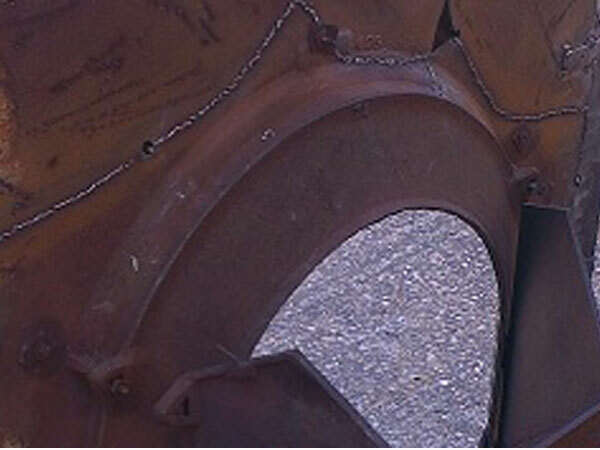 During the restoration process we can weld and repair most breaks and cracks in your antique fireplaces. 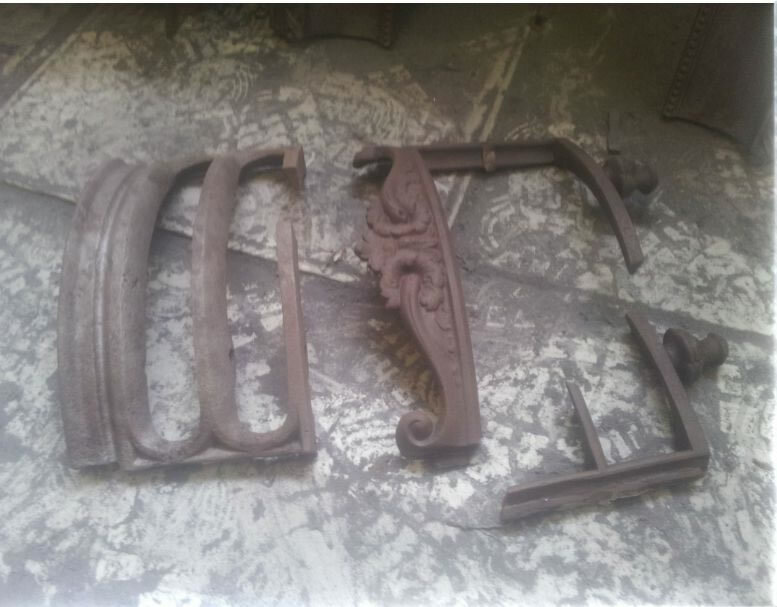 We use special cast iron welding rods. 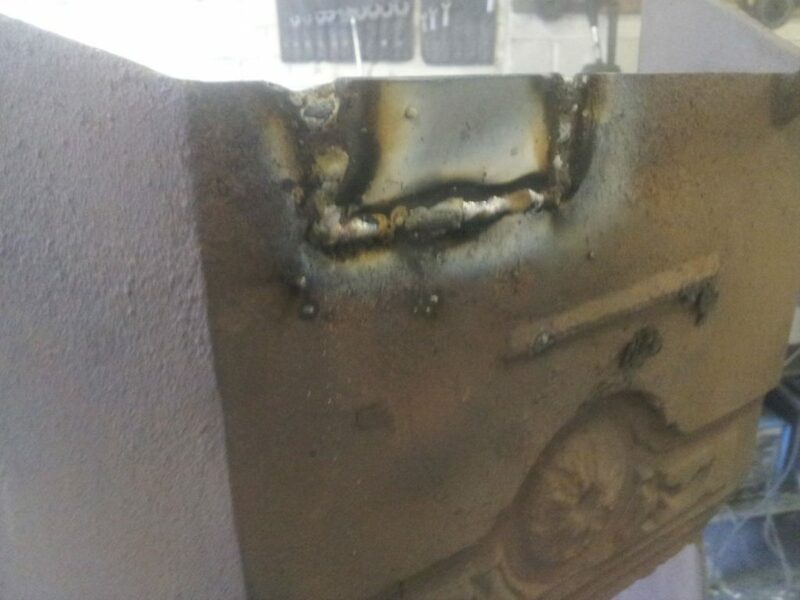 Our welding is strong and durable. 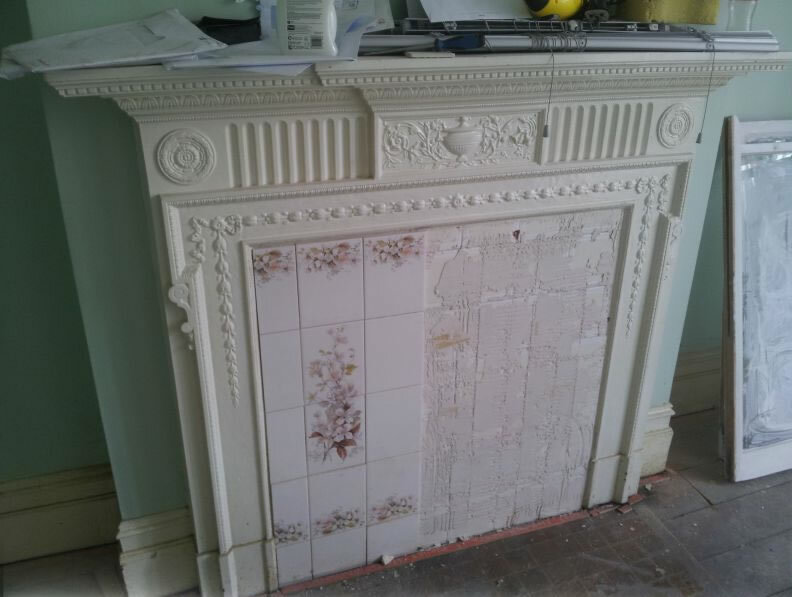 Some repairs to your restored fireplace will determine the final finish.